End of the Term, What Now? January 20, 2017, marks the end of the Presidency of Barack Obama, the 44th President of the United States. At noon the 45th president will be inaugurated. Also, as of noon, Obama’s appointments to Executive Branch positions will resign from their position to be filled by the new president’s appointment. Of the people resigning are Secretary of the Treasury Jacob “Jack” Lew and Principal Deputy Director of the U.S. Mint Matthew Rhett Jeppson. Jeppson was nominated to be the 39th Director but the nomination died with the end of the 114th congress. Attempts to contact the U.S. Mint to ask them about the bureau’s leadership starting Friday has gone unanswered. The position of Treasurer of the United States would have also resigned but is currently vacant after the July 2016 resignation of Rosie Rios. Treasurer of the United States is a presidential appointment that does not require Senate confirmation. The Bureau of Engraving and Printing is not affected by a change in administrations because the position of the director is a career appointment. Len Olijar will remain Director of the BEP as long as he is a government employee in good standing. Members of the Federal Reserve Board are appointed but they are not considered part of the Executive Branch. 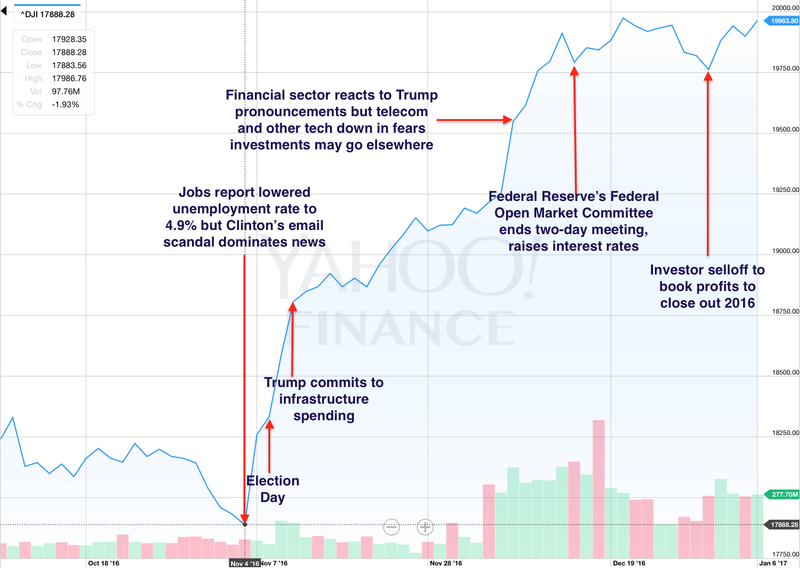 The Fed is independent and the Fed Chair, the Federal Reserve Board, and the president of the regional Federal Reserve Banks are appointed to four-year terms irrespective of political timelines. Janet Yellen, Chair of the Federal Reserve, has announced she will serve her full her full four-year term that will expire on February 3, 2018. The Plum Book, which documents more than 9,000 Federal civil service leadership and support positions in the executive and legislative branches, lists quite a number of positions that supports numismatic production. Of course, significant changes will be reported here! If there is news that you want buried, you would release the news on Friday afternoon. Washington politicians are notorious for creating these media dumps late on Friday. By the time the media can digest the dump, the press offices are closed for the weekend leaving the media to try to explain the stories based on what they have. However, the public is into its weekend and fewer are paying attention. On the Friday before the Independence Day celebration weekend, the U.S. Mint released the Ronald Reagan dollar and Nancy Reagan first spouse coin marking the end of the program. The Presidential Dollar program has had an interesting history. Passed by congress in December 2005 and later signed by President George W. Bush, the Presidential $1 Coin Act (Pub. L. 108-145) ordered the U.S. Mint to create a $1 coin to commemorate the Nation’s past Presidents and an accompanying $10 gold coin to commemorate the President’s spouse (First Lady). Coins appeared in order that the president served and the president must be deceased for two year prior to the coin’s issue. Since Jimmy Carter is still living, he was bypassed and the last coin was for Ronald Reagan. First Spouse gold coin, they bore the image of the first spouse of the corresponding president with historical information about the spouse on the reverse are issued for each spouse. For the cases where the president was widowed prior to taking office, the obverse of a contemporary coin was used and a historical image is used on the reverse. The only exception was the 2012 coin honoring Alice Paul to coincide with the Chester A. Arthur presidential dollar. Since Arthur was widowed prior to his inauguration, the law gave the honor to Alice Paul, a suffragette who was born during Arthur’s administration. The program ended with the issue of the Nancy Reagan coin. For the first time in the modern era the date, mintmark, and mottos “E Pluribus Unum” and “In God We Trust” struck into (incuse) the edge of the coin. 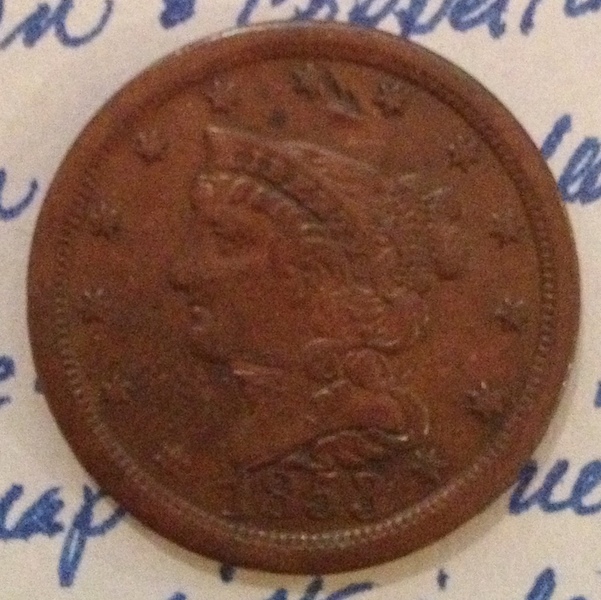 The last time edge lettering was used on circulating U.S. coinage was in the 1790s. With the edge lettering a new process for the U.S. Mint, it was no surprised that coins left the Mint without the mottos stamped in the edge. Dubbed the “godless dollar” the error caused an uproar over some people suggesting that the government was conspiring against religion by leaving the motto off of the coin. This was described as either a willful omission or a way to attack religion. There was no narrative that accepted that this was just a mistake. Our national nightmare ended when congress updated the law (Pub. L. 110-161) to move the motto from the edge to the obverse of the coin. E Pluribus Unum, the date and mintmark was left on the edge. While the media was blaming the U.S. Mint and the Federal Reserve, they forgot to read the law. According to the law, there were mintage minimums that congress wrote into the law including the one that said the Sacagawea dollar was to comprise one-third of the dollar coin production. As part of the legislation, the U.S. Mint and Federal Reserve were supposed to promote the coin’s use and provide educational materials for the public. Congress, who wrote and passed the original legislation, was tripping all over themselves to introduce bills to end the program while pounding their collective chests claiming they were acting in the public interest. This nightmare ended when then Treasury Secretary Tim Geithner ordered a reduction in the production of all dollar coins. None of the bills introduced to eliminate the dollar coin were ever heard in committee and died at the end of the 113th congress. But the series couldn’t continue without one more controversy. The way the law was written, it was interpreted that it would end with the first living president. In this case, the program would have ended with the coin honoring Gerald Ford since Jimmy Carter is still living. This did not sit well with the fans of Ronald Reagan who have spent the time since his convalescence and death trying to plaster his name all over everything including an airport that employed air traffic controllers he fired placing the nation’s skies at risk. The same members of congress that introduced bills to eliminate the program were now demanding the program be extended by one president. Ironically, they waited until after the resignation of Mint Director Edmund Moy and approached the acting Director Richard Peterson. Although Peterson was named acting director, he was a career government employee with impeccable credentials but had to have a different relationship with the politicians than an appointed director would. The matter was deferred to Treasurer Rosie Rios and Secretary of the Treasury Jack Lew who approved the extension of the program. When the Reagan dollar was issued, 39 presidents representing 40 terms were issued. Along with Nancy Reagan, 35 other first spouses were honored (Frances Cleveland appeared twice), four different Liberty coins were issued, and one was issued to honor suffragette Alice Paul. President Reagan horseback riding at Rancho del Cielo with Freebo (his daughter’s dog) and Victory the golden retriever following. 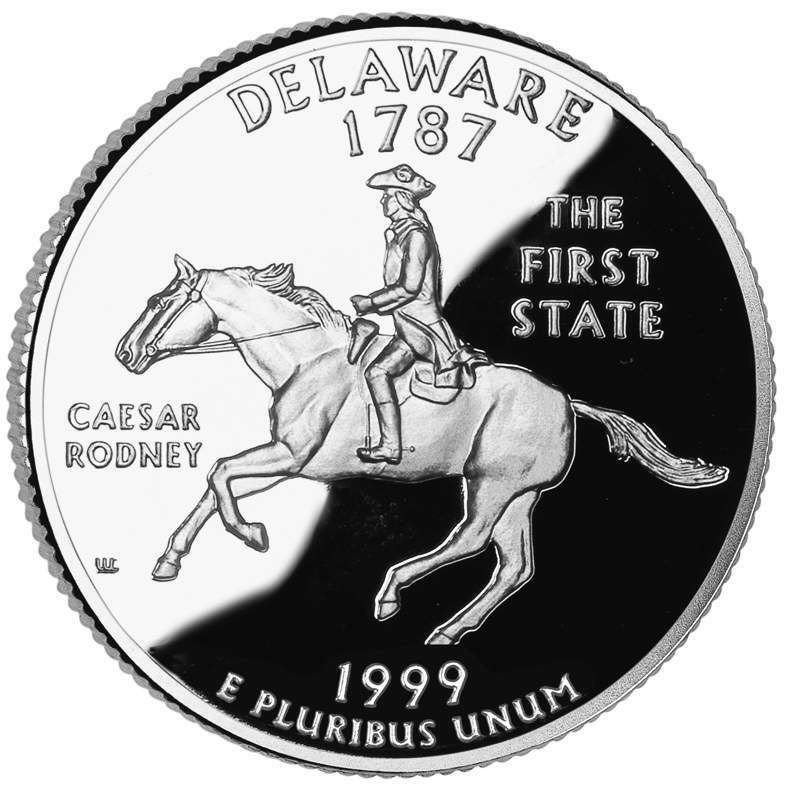 As the program now quietly rides off into the proverbial sunset, maybe it is time to let the America the Beautiful Quarters® complete their run through 2021 and give the circulating commemoratives a rest. What happens when the Federal Reserve shreds old money? We have seen the many packages of shredded currency. From the little packages with $5.00 of shredded currency to 5 pound bags filled with approximately $10,000 shredded money, this was the primary way currency did not just get thrown away. Since 2014, the Federal Reserve has been working with recyclers across the country to turn that shredded cash into something else useful. According to the Federal Reserve Bank of San Francisco, the Federal Reserve pushed for more recycling of currency in 2011. Since each Federal Reserve bank manages its own cash operations each works with local recyclers to provide the cash. In most cases, the recycler hauls away the shredded cash for no charge to the bank and turns it into other products. Examples of what is done with the cash is that the San Francisco district supports burning of the shreds for “green power,” a fitting name for recycling U.S. currency. So does the Federal Reserve Bank of Philadelphia. The story caught my eye was about the New Orleans branch of the Federal Reserve Bank of Atlanta that provides shredded currency to a company that composts the cash, mixes it with other soil so that it is used for growing vegetables. Image of shredded currency courtesy of the Bureau of Engraving and Printing. Video courtesy of the Great Big Story on Facebook. “Another Day, Another Dollar” from the University of Maryland Hernam Maril Gallery. Can the U.S. go cashless? Could the call to end the 1p and 2p coins in the UK have an effect in the US? There have been stories running around the Interwebs talking about the end of money. Not necessarily the end of money but the end of physical currency. With all the talk about ending the production of low value coins, whether it is the one-cent coin here in the United States, or the one or two pence coins in Great Britain, there seems to be movement to reduce the dependence of coinage. Amongst the examples cited by those looking to make these changes are Canada, who ended the production of their one-cent coin in 2012, and Sweden, where physical currency makes up 3-percent of the economy. 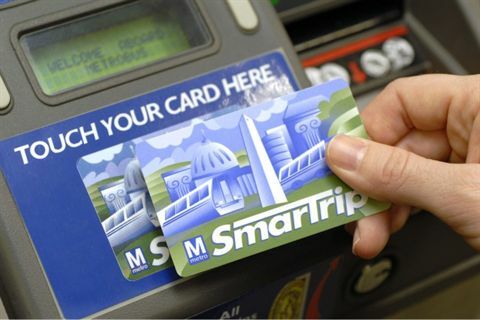 Could the DC Metro’s Smartrip Card be the future of a cashless society? Sweden is an interesting example that may not apply to the United States. The country that introduced the first banknotes to Europe in 1661 has transformed itself into a larger digital economy. Many shops and most banks have stopped handling cash. In areas that were traditional cash-related transactions, there has been a ticket or electronic system in installed. Busses require pre-paid tickets. Other mass transit relies on credit cards or pre-paid debit cards like the Metrocard in New York or the SmartTrip Card in Washington. These cards are less expensive to produce than paper tickets or tokens. But could a cashless society work in the United States? A key measure of the power of an economy is the Gross Domestic Product, the total cost of goods and services produced by the economy. As of 2012, the most recent statistics available, Sweden’s GDP is $184.8 billion (converted to US dollar equivalent) versus $1.56 trillion for the United States—eight times the Swedish economy. Sweden’s economy ranks 28th and the U.S. 2nd only behind the combined European Union. 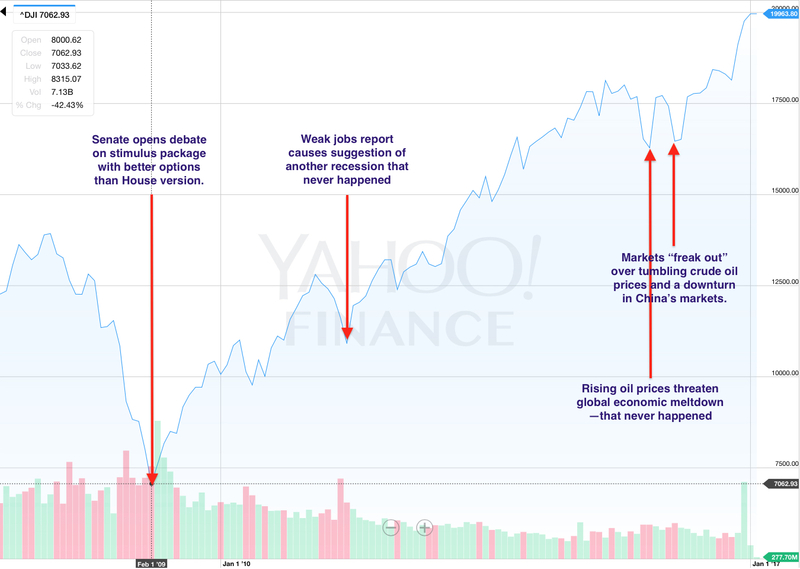 For the record, China’s 2012 GDP, third on the list, was $8.36 trillion, just over half of the U.S. GDP. The United States makes more money, spends more money, trades more money, and has more economic impact than any other country in the world. The first problem with trying to replicate what Sweden is doing is one of scale. The United States has the single largest economy in the world. While the European Union has a larger GDP, it is made up of cooperating countries with their own sovereign interests. While some might say that it is the same as the 50 states, the federal structure of a single republic versus several cooperating republics of Europe makes like the equivalent of swallowing the ocean in one gulp versus several gulps controlled by cooperating governments in Europe. Even when European governments do not cooperate, they can individually work better than what has been going on in the United States. Another key indicator is the poverty rate. It is important to consider those in poverty because they usually do not have the resources to participate in the advanced structures of society. People living in poverty do not have access to credit regardless of where they live, even if they do have some access to the technologies that support cashless access. Although companies are giving away smartphones in many poverty stricken areas, those customers continue to have problems paying their bills. These are the people who rely on cash. What may account for Sweden’s low use of cash is their low percentage of its citizens in poverty. With a poverty rate of 3.97-percent, this may account for the 3-percent average currency usage. Poverty in the United States is 5-times more than Sweden at 20.59-percent. While this in itself may not be a definitive indicator, it could explain why there is a vocal opposition of anti-poverty groups when discussion turn to eliminating the cent or a cashless society. Those who preach a cashless society and point to Sweden also fails to consider one factor that only few countries have faces: the United States has probably one of the most diverse populations. Current politics notwithstanding, the United States has historically been more open to immigration than most other nations. Sweden, while a wonderful place, has a lesser and more homogenous population. Swedes are rightfully proud of themselves, their heritage, and history and has a culture more conducive to working together. When was the last time that we saw the United States all together? Even after the attacks of September 11, 2001, there were segments of the population that has called it a hoax and said that the government bombed itself to press an agenda. Even those who want to end production of the one-cent coins and uses the end of the half-cent as an example of the U.S. ending production of a no longer needed low denomination coin gets the reasons wrong for the reasons why its production was ended. Those who know better reminds them of the reasons and many stammer in shame before puffing out their chests and saying they are right, anyway. In 2015, the U.S. Mint and Bureau of Engraving and Printing produced more coins and currency than ever. Both government agencies produce their main products because it was ordered by the Federal Reserve, the central banking organization of the United States. Even though paper currency may be exported, most coins are circulated in the United States for domestic use. If there is any indication that the United States is moving to a cashless society, then why is currency production at its highest in history? Interestingly, 2015 was the 50th Anniversary of clad, non-silver coinage except for the half-dollar that was produced with 40-percent silver until 1969. To this day there are people to decry the use of fiat money. Regardless of what pundits say, the United States economy is more broad, diverse, and not as easy to control as in Sweden. If the United States ever gets to the point where it can support a cashless society, it might not be during the lifetime of anyone reading this today. These pundits do not see beyond their caramel macchiatos to understand the Real World. Keep collecting this coins. Your great grandchildren may enjoy them but their grandchildren may find them interesting curiosities. Smartrip Card image courtesy of Arlington Transportation Partners.